Try our mix of different blends you can make with OPTIFAST 800! 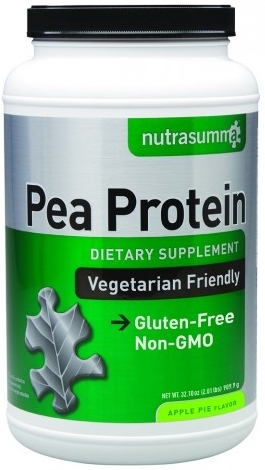 Nutra Summa is the leading manufacturer of Pea Protein and Gluten-Free nutritional products in the world. 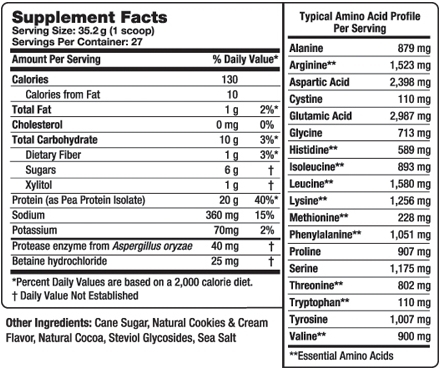 We began with the philosophy of manufacturing the highest quality supplements available. 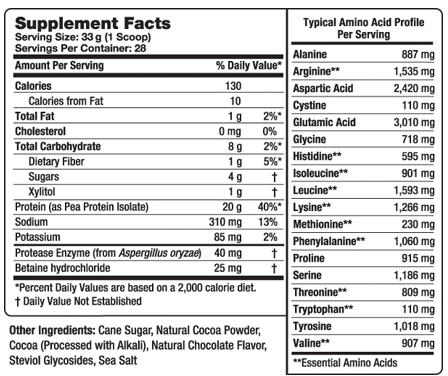 Our design process begins with the idea of what ingredients are required to make an effective supplement. We then source these ingredients from the cleanest sources available. 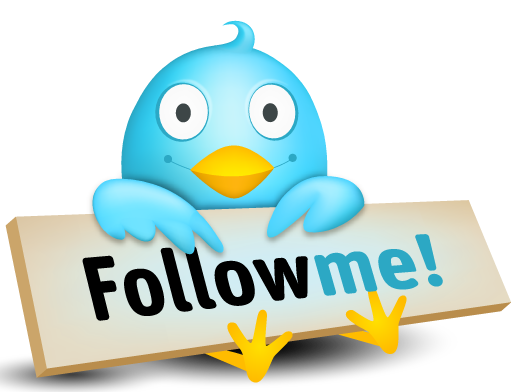 We look for tested and proven raw materials from US and International sources. It takes several research and development stages to create the finished product that is eventually offered for sale. If it is not good enough for our family…it is not good enough for our customers. 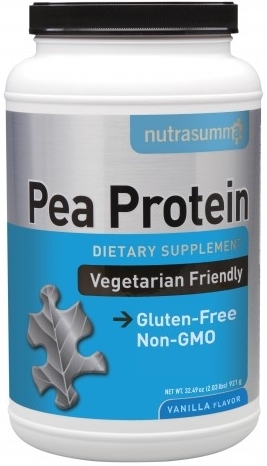 Whether you are looking for muscle, strength, endurance, weight management, or fatigue supplements you can buy Nutra Summa nutritionals with confidence. 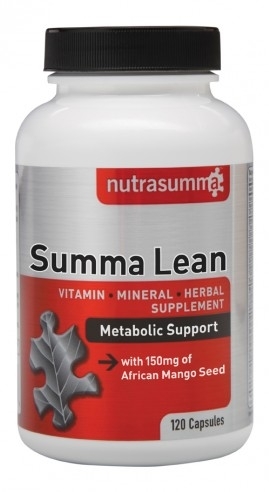 The Weight Management line of Nutra Summa products finds the most natural and healthy way to achieve these goals of health and wellness to regulate bodyweight. With the use of natural ingredients to build a synergistic connection with our metabolism, our energy levels, and our mood; we allow the body’s results to reflect the output. Carb Transfer Is here! 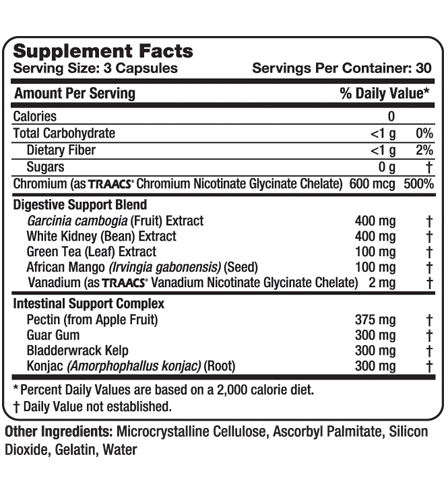 Now contains Garcinia Cambogia with African Mango!!! Nutra Summa Carb Transfer offers digestive support for your body shaping program when combined with smart calorie choices and exercise programs. A unique blend of plant-based konjac, pectin and gums works on fullness sensors in the digestive system so you feel less hungry. Carb Transfer helps regulate certain metabolic process with chromium and vanadium. 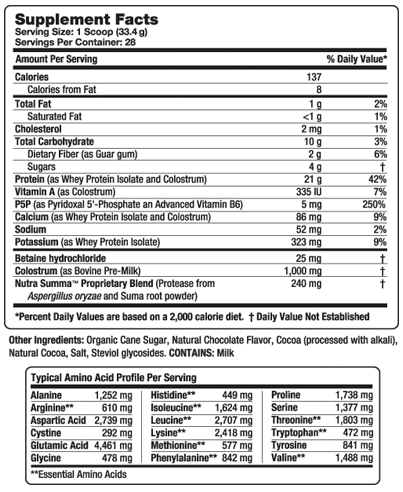 White kidney bean extract helps counter the absorption of sugars and starches so you have fewer calories to absorb. 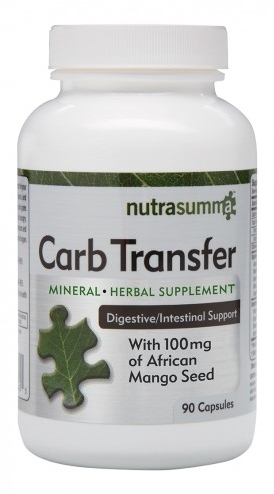 Nutrasumma Carb Transfer works in multiple ways to support the healthy processing of carbs. Summa Lean, With 150mg African Mango!!! Shedding extra pounds is one of the best things you can do for your health. But it comes with a metabolic toll. Burning fat through dieting generates free radicals, increases stress levels and tilts your pH toward the acidic side. No wonder your body is resistant to losing too much weight! Summa Lean encourages healthy weight loss while counteracting the metabolic toll of dieting, so your body starts working with you instead of against you. 120 Capsules - Take 2 cap in the morning and 2 in the afternoon. 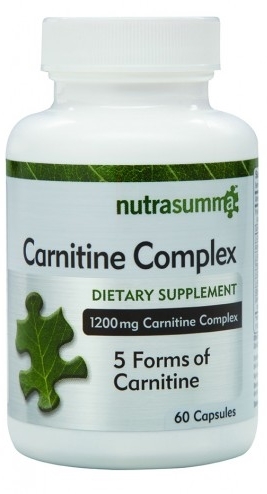 Carnitine Complex, 5 Forms of Carnintine! 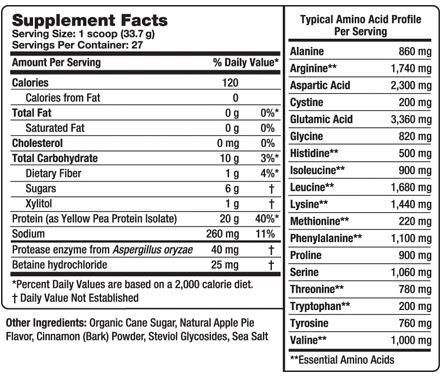 Carnitine is an amino acid derivative that turns fat into energy. * Red meat is the richest food source of this compound. 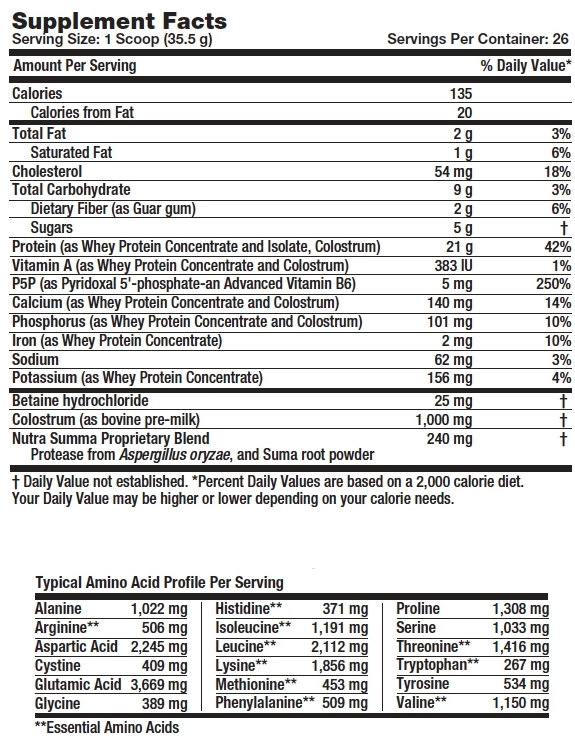 However, you’d have to eat more than 7 hamburgers to get the amount of carnitine — 600 mg — in just one convenient capsule of Nutra Summa Carnitine Complex! Since the heart, brain and liver are three organs with very high energy needs, supplementing with carnitine ensures they have all the energy they need to function. 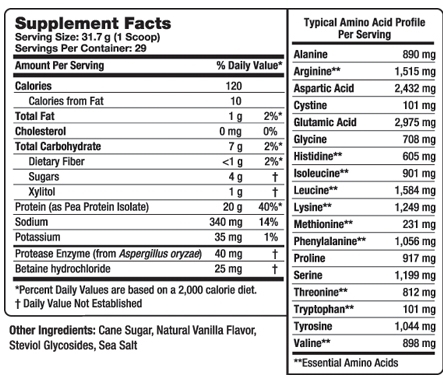 * Interestingly, different forms of carnitine benefit different parts of the body. 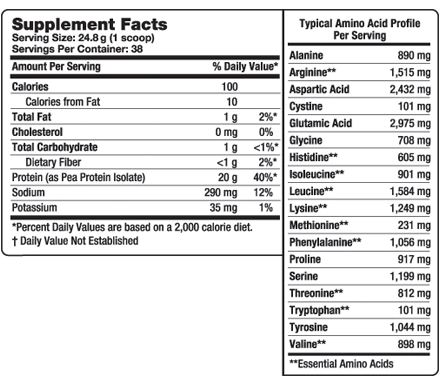 That’s why Carnitine Complex includes five different forms. 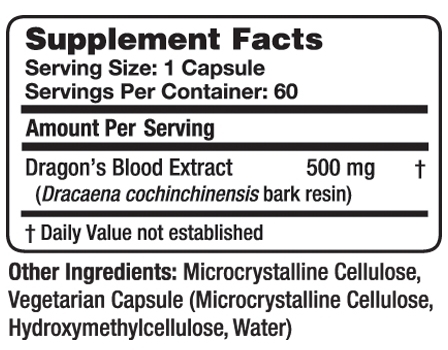 Absorption: Ingredients that may improve bioavailability, such as Bioperine® black pepper extract. 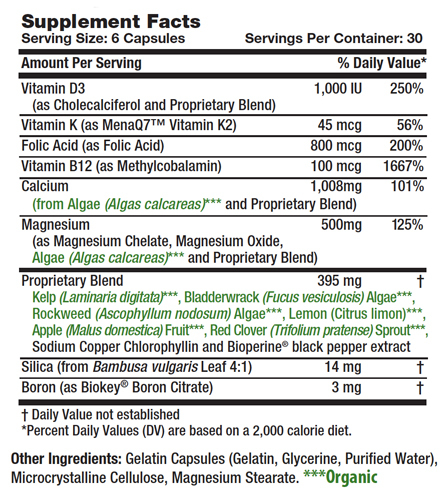 60 Capsules - Take 2 cap in the per day, with at least 8oz of water. Protein, Protein and more Protein! Whether you're eating to bulk up, slim down, or just maintain your fantastic body shape, your nutrition regimen probably includes a protein shake or two.... That's because protein is an essential macronutrient for building and maintaining lean muscle mass! Despite the good protein shakes do for our bodies, they can sometimes be a little hard to swallow—literally. Stop choking down the same plain-Jane shakes! Add some flavor and texture to your daily dose of protein powder. All the goodness without the moo! 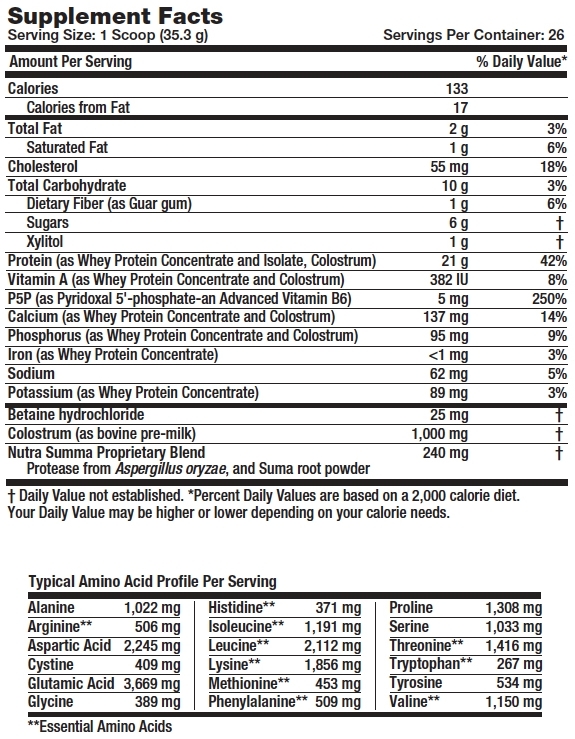 Athletes and active adults need increased protein compared to an average person. The body will breakdown existing muscle proteins if it doesn’t get the protein it needs from the diet. 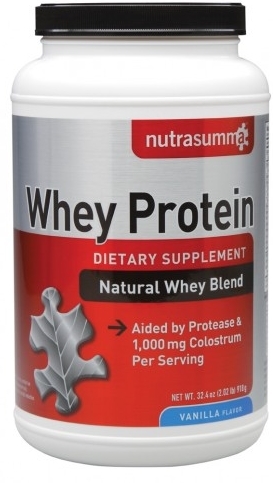 Nutra Summa’s WPI offers as much protein as in 2-3/4 cups whole milk but without the added fats and sugars. 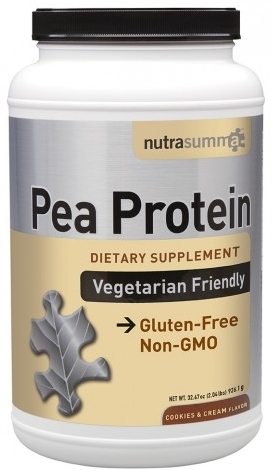 One scoop of Nutra Summa’s WPI offers high quality protein packaged with 4-times fewer calories, 20-times fewer fats, and 34-times fewer sugars. 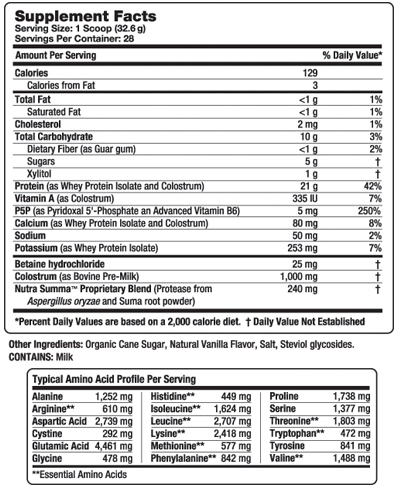 And even better than whole milk protein, WPI is a more easily digested protein fraction. Nutra Summa’s WPI only contains high quality isolates, for those wanting just the key fractions of whey proteins. 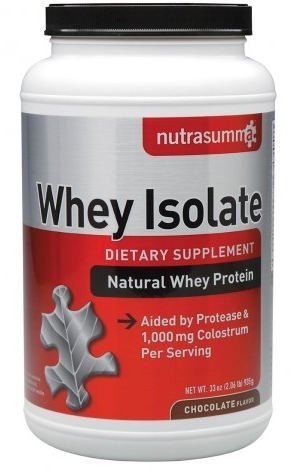 Whey Protein Isolate (WPI) is a source of all essential amino acids that your body uses to build protein. Through the process of obtaining the whey component from milk, much of the lactose is removed leaving you with a powerful punch of protein. Depending on your work out intensity, your body may have broken down muscle proteins and whey helps to prevent further depletion. 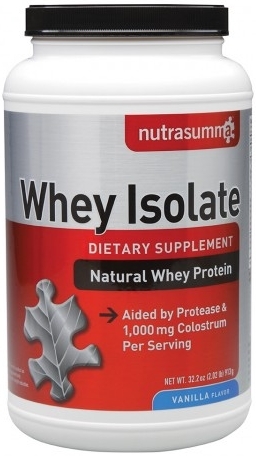 Why Nutra Summa 100% Whey Isolate? 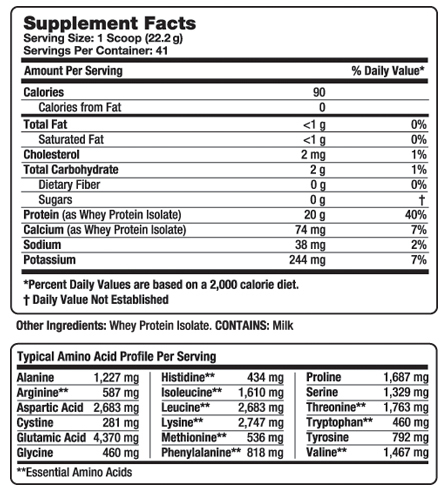 Whey Protein with Colostrum packs more protein than 6 egg whites! WHY NUTRA SUMMA™ WHEY PROTEIN ? WHY NUTRA SUMMA™ PEA PROTEIN? Pea Protein features Protease, an enzyme that breaks down protein and Betaine Hydrochloride to help maintain healthy gastrointestinal function. 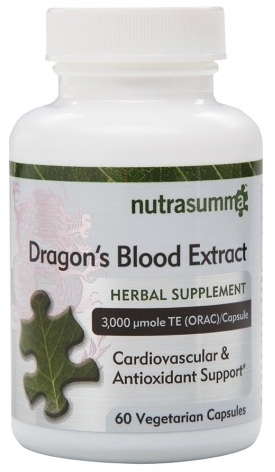 Why Nutra Summa Dragon's Blood Extract? Available only from Nutra Summa, this deep red 98% soluble resin extract comes from the Dracaena cochinchinensis that is manufactured to pharmaceutical-grade quality. acai or fresh Goji (wolf) berries, which is more than half the recommended intake suggested by USDA researchers. 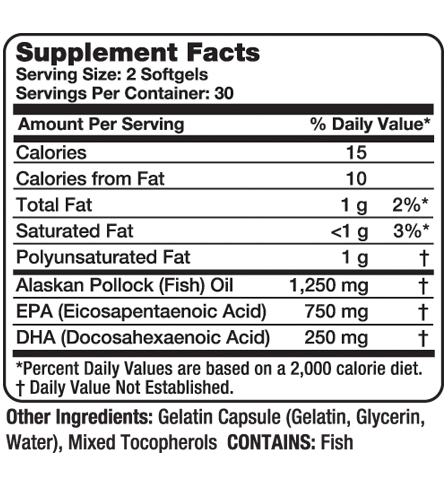 Fish oil, which contains the omega 3 fatty acids EPA and DHA, has been the subject of literally thousands published scientific studies. According to the FDA, supportive but not conclusive research shows that consumption of EPA and DHA omega 3 fatty acids may reduce the risk of coronary heart disease. 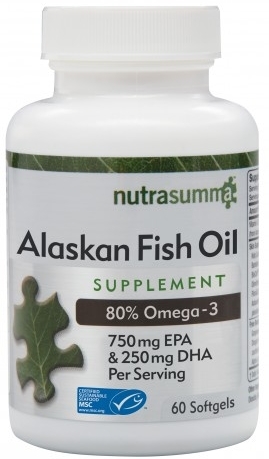 One serving of Alaskan Fish Oil provides 750mg of EPA and 250mg DHA of omega 3 fatty acids, providing a total of 1,000 mg of omega 3. 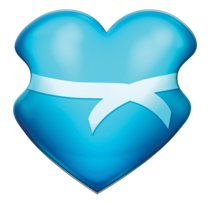 A highly concentrated dose and the exact amount recommended by the American Heart Association for individuals with documented coronary heart disease. Got milk at every meal? Most Americans — up to 87 percent — don’t get all the calcium they need. If you’re not drinking milk at every meal, you may be one of them. The good news is that one serving of Nutra Summa Cal/Mag capsules has the calcium in three servings of milk, plus other nutrients that help calcium do its job. Calcium provides more than just structure to bones and teeth. It helps every organ system function. Surprisingly, the source of most calcium supplements — calcium carbonate — is rock. But your body isn’t meant to get nutrients from rocks; it gets nutrients from living things! 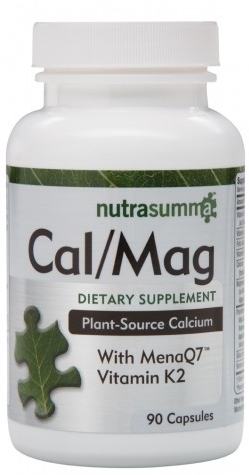 That’s why Nutra Summa Cal/Mag features calcium from mineral-rich ocean plants — the way your body likes it! 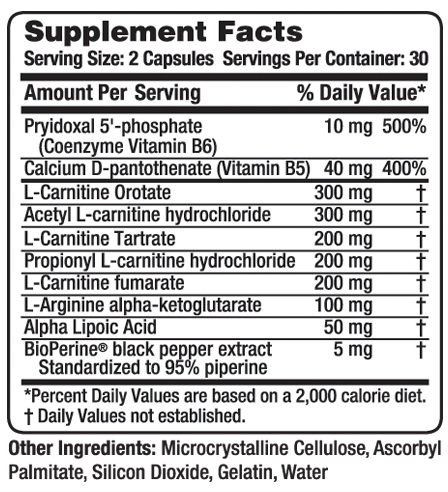 Absorption: Bioperine® black pepper extract, which may improve bioavailability. Alkalization: Calcium and magnesium, which neutralize acidic waste. Occasional blues or sadness may put a dent in your day. Finding that pleasant outlook leads to more success in work, relationships, and health--and even more enjoyment from leisure activities. In 2009, 25% of Americans reported extreme stress levels, and 42% experienced increased stressed levels compared to the previous year. Americans can combat the occasional blues with relaxation techniques and, if necessary, add the normalizing benefits of herbals commonly called adaptogens. 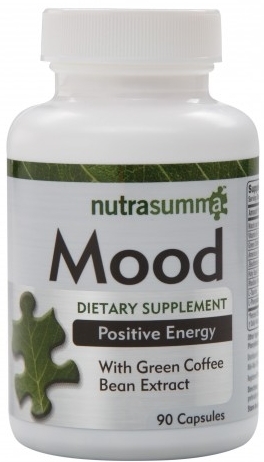 Mood Positive Energy contains adaptogens that balance out your mood and neutralize negative mood energy. Prevent the feeling of fatigue so you can concentrate on the task at hand without the jitters whether on the job or in a competitive event. Mental balance is restored thanks to the herbal blend and lower caffeine levels to not interfere with relaxation. Why Nutra Summa Mood Positive Energy? Support: Ingredients that complement mood positivity, Eleutherococcus senticosus, American ginseng, Holy Basil and Rhodiola rosea, which help to balance the body when it is not in order. 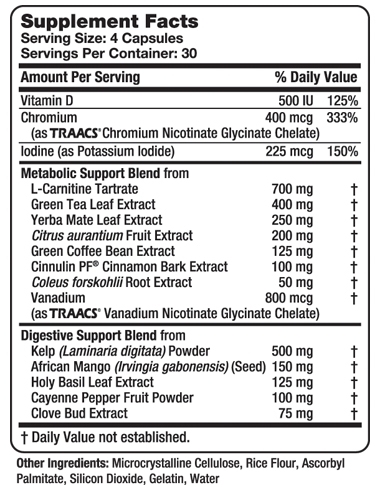 Green coffee bean extract offers lower caffeine levels to lessen the “crash” associated with highly caffeinated products. B vitamins help transport food energy to needed areas of the cells. 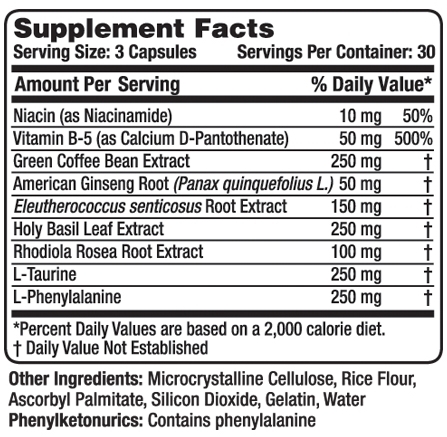 One product blends multiple ingredients to combat the occasional blues instead of taking multiple supplements. Unlike other products, the divided doses offer a full day response.